Spikes is a learn-to-play volleyball program where boys and girls learn the skills in a supportive, non-competitive environment, We group players by age and modify skills so each child is successful. This program is the best choice for children looking to try a new sport or getting a head start in volleyball so they can make a school team in the future. No previous experience is required! Technique Tutoring is semi-private lessons for beginners. The focus is on individual player skills and there is no game play. It is recommended for beginners who are too old to join Spikes and/or players who thrive learning in small groups. Technique Tutoring features low player to coach ratios(maximum 4 players per coach). Players will perform many repetitions and will be given constant feedback by coaches. Private lessons are 1-on-1 and are an hour in length and are conducted by our most senior rep coaches. You can bring a friend for no extra charge if you wish. The Development League is a 10 week program that teaches the fundamentals of volleyball through a mix of instruction, drills, and competition. It is recommended that participants have a basic understanding of the sport of volleyball. The Champions League is a volleyball league for boys and girls that are intermediate level players. The program focuses on teaching the skills and techniques of volleyball while providing players with maximum ‘touches’ and longer rallies. Champions League volleyball program is for players who have already had exposure to the sport. Pakmen Plus is a volleyball training program for boys only who are members of their school team or who already have some volleyball skills. Participants will get the chance to train and compete with peers of similar interests. There is a component of instruction as well as game-play in this program. Game-play ranges from 3vs3 to 6vs6. The GTA Premier League is girls only program designed for more advanced players who have experience playing on their school teams. This is a league style program where teams will be made and girls will receive team jerseys. Each week they will take part in rep style practices to enhance their skills as well as match play. Gettn’ Better is a volleyball training program for serious middle school and high school players. Through Gettn’ Better, players will practice hundreds of meaningful contacts with constant feedback from our rep coaches. The REP program is designed specifically to prepare athletes who are committed to the sport of volleyball and preparing to pursue their volleyball career. Being a part of this program will give you the opportunity to train and excel in the sport of volleyball, with the focus of developing your skills and to prepare you for university/college/national team level. Summer Volleyball Camp is for boys and girls. Players with all skill levels are welcome at the volleyball camp! No previous experience required! Advantage Camp is a high performance camp for serious indoor otfvolleyball players. This program is ideal for preparing athletes for school team and rep tryouts. With the focus being on the athletes, they can expect to receive a lot of touches, and constant feedback by the coaches. March Break Camp for 2018 is an indoor volleyball program for boys and girls. It is a 5 day program that runs Monday to Friday. Players with all skill levels are welcome at the volleyball camp! No previous experience required! Winter Volleyball Camp for 2018 is an indoor volleyball program for boys and girls. It is a 5 day program that runs Tuesday to Thursday. Players with all skill levels are welcome at the volleyball camp! No previous experience required! Advantage Camp is a high performance camp for serious indoor volleyball players. This program is ideal for preparing athletes for school team and rep tryouts. Elite beach training is for rep players who are competing in the Ontario Volleyball Association (OVA) Summer Beach League. Spikes is focused on providing a supportive, non-competitive environment, where learning volleyball skills is a whole lot of fun! This program is the best choice for children looking to try a new sport or getting a head start in volleyball so they can make a school team in the future. No previous experience is required! Technique Tutoring is semi-private lessons for beginners. It is recommended for beginners who are too old to join Spikes and/or players who thrive learning in small groups. Technique Tutoring features low player to coach ratios(maximum 4 players per coach). Players will perform many repetitions and will be given constant feedback by coaches. 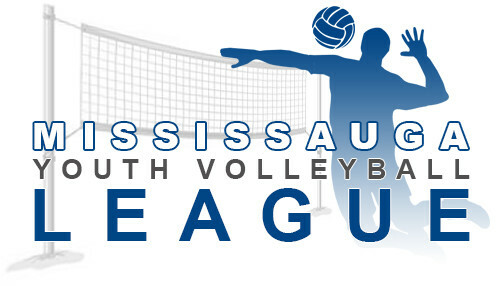 The Mississauga Youth Volleyball League is beach volleyball league for both boys and girls. Players should have played on a school team in the past, or participated in our GTA Premier League, or Pakmen Plus.